Both morning and evening Yin Yoga classes begin with meditation and conversation about what we came to with, whether there is something we want to focus on, work on, what hurts us physically as well as emotionally and spiritually – everything depends on whether you want to share, or maybe you feel that today you prefer to be silent. 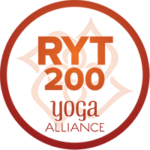 The practice of yin yoga is a set of a dozen or so asanas (yogic positions), with which we reach to the deep parts of our body, in which our life experiences are often coded. The time to stay in the position starts from 2 minutes and can last up to 20 minutes (depends on the level of advancement and needs, staying longer time in a position is usually practiced during home practice). 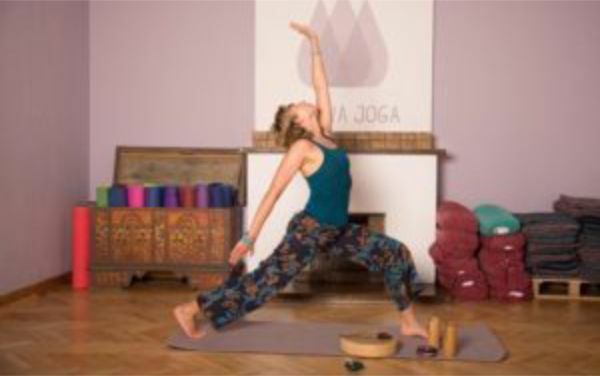 During the classes, we also work with the tension release in the so-called trigger points with the use of tennis balls..
On Friday mornings we also practice the dynamic spiral yoga system – a dynamic yoga sequence that combines yoga, gyrokinesis and dance. The sequences of circular movements from the heart to the kidneys symbolise harmony in the body and strength between the two most important organs. 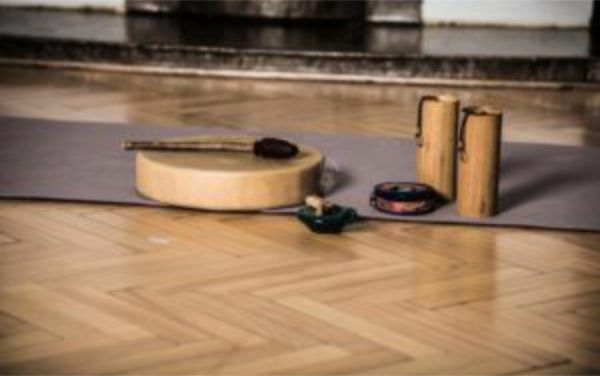 We practice with yoga props, often the sounds of koshi bells, drum or meditation bells fill the room during practice. After classes, there is often a moment to talk, exchange experiences, have a laugh together and say a nice word for “until next time”. I INVITE YOU ALL TO JOIN US!